Buying Gifts for Bridge Players can often be tricky. You know what they love the most, but finding a special gift idea for Bridge, can be difficult. As the UK’s only premium outlet for Bridge players and card players alike, we have steadily been carving out a niche based around exclusive and high quality Bridge products. Everything we stock we source from the best manufacturers we can find and increasingly, we are sourcing as many of our products as possible from within the UK. Furthermore we are slowly but surely building up own brand lines, which are made by us exclusively in our workshop in Devizes. 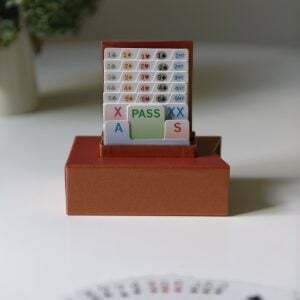 Below are some great gift ideas for Bridge players that will be warmly recieved whatever the occasion, Birthday, Christmas or just to say I love you. Copyright © Simon Lucas Bridge Supplies. All rights reserved.